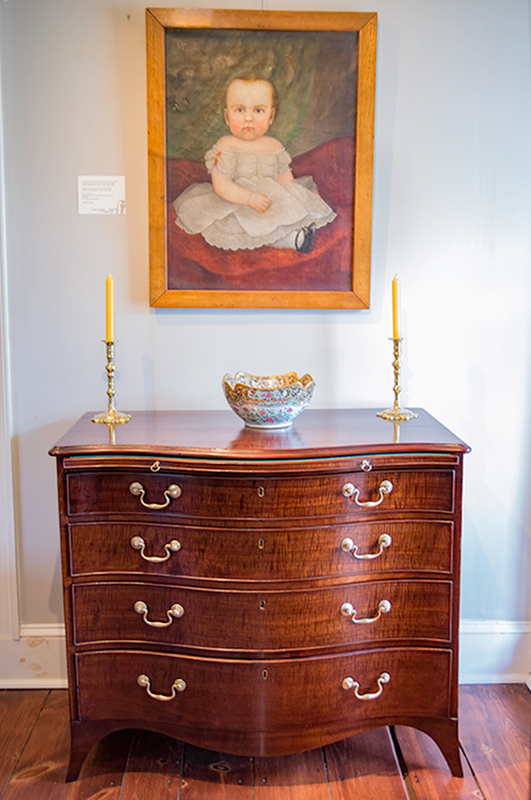 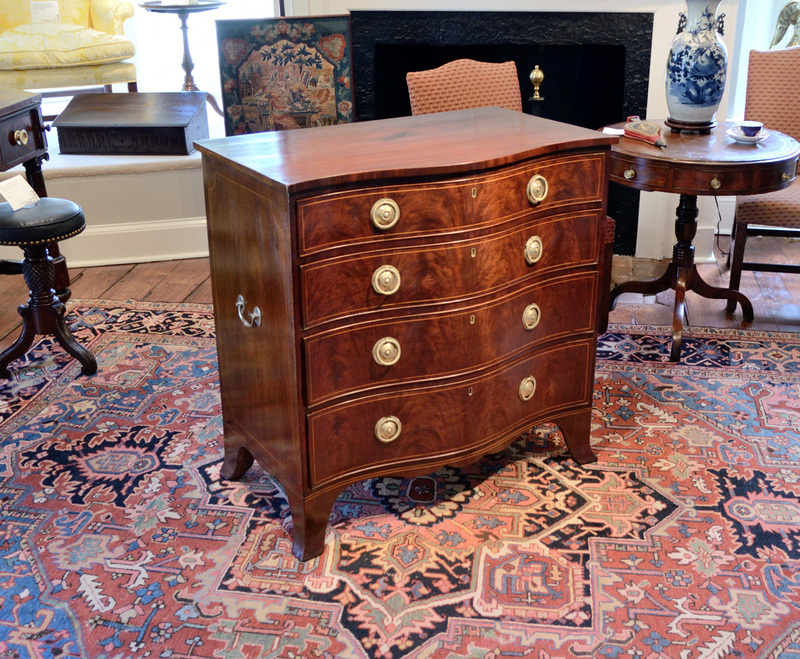 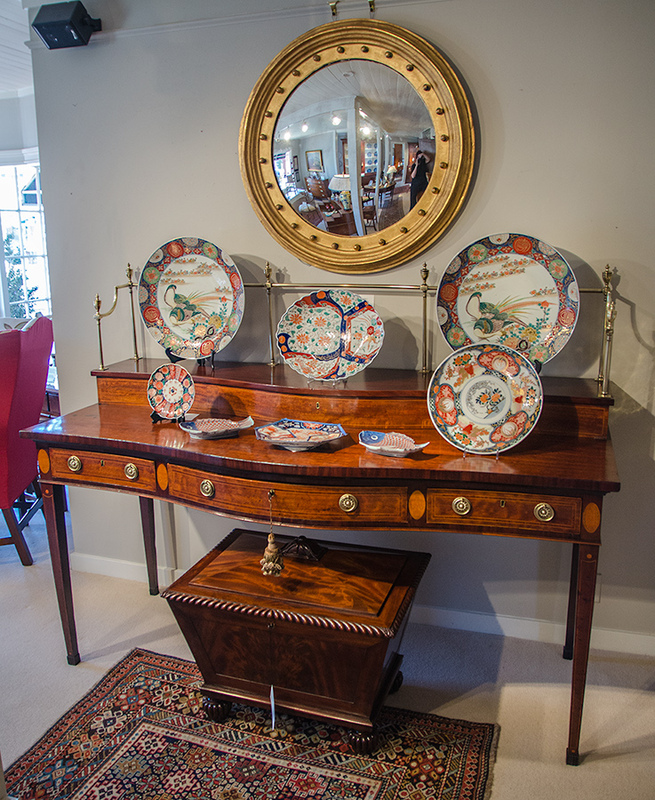 George III Mahogany Inlaid Side Table The Rectangular Top With Serpentine Front & Banded Edge Above A Serpentine Drawer, Wonderful Size, Color & Condition. 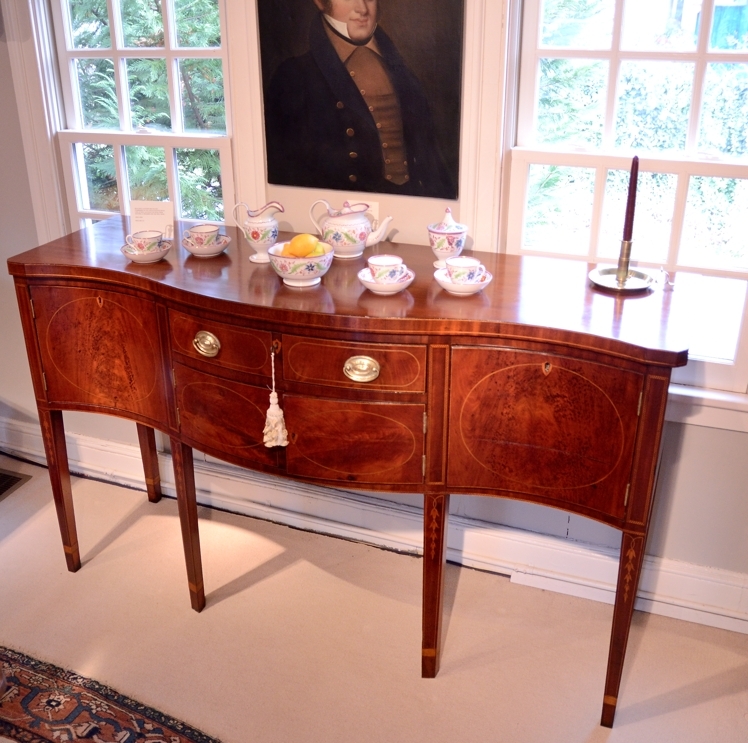 George III Mahogany Inlaid Sideboard With Superb Details. 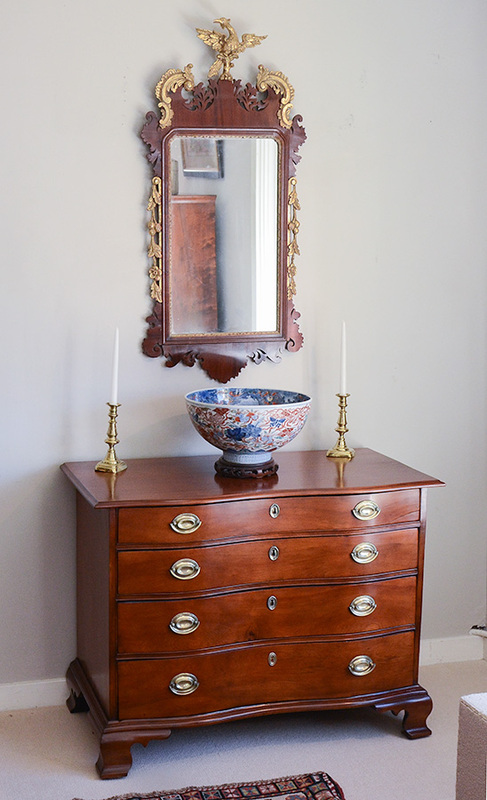 Brass Towel Bar, Stepped Shelf, Serpentine Front, Oval Reserves, & Satinwood Line-Inlaid Detail.